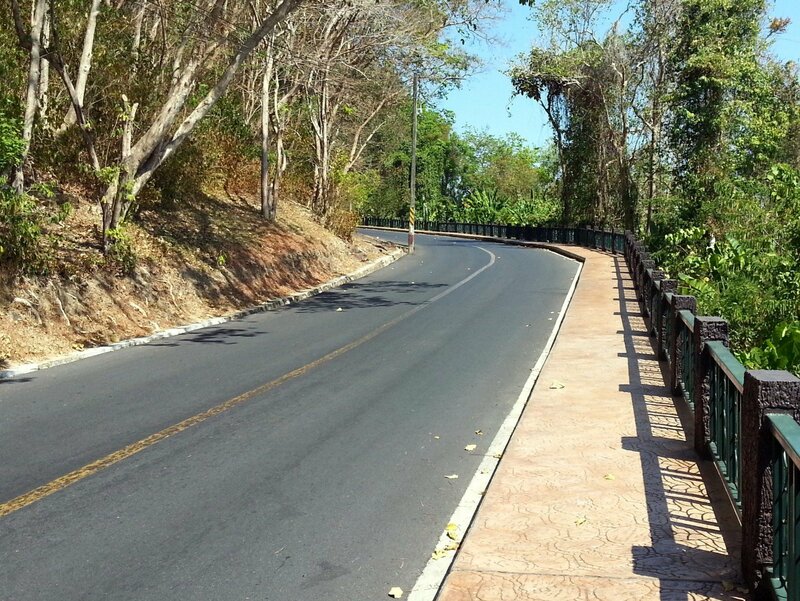 Chung Kai War Cemetery in Kanchanaburi is the final resting place for 1,427 British and Commonwealth troops and 314 Dutch military personnel, most of whom died in the construction of the infamous ‘Death Railway’ during the Second World War. 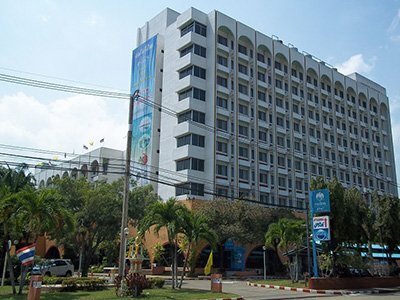 Chung Kai War Cemetery is located opposite the main Kanchanaburi train station on the Sangchuto Road, a 10 minute walk away from the popular Maenamkwai Road where most of the resorts and hotels are located. Entry to the cemetary is free. 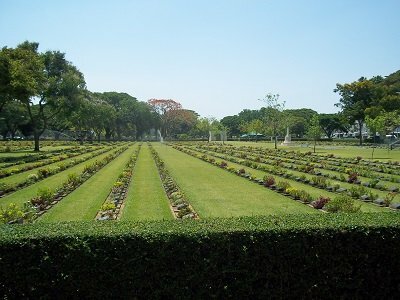 The cemetery occupies a large area and is configured with a cross at one end and a memorial building at the other other near to the entrance. The site was used during the war by Allied Prisoners as a camp where they built their own hospital and church. 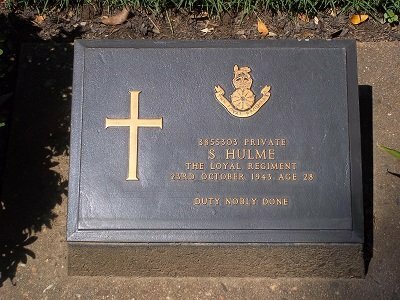 The cemetery was started by the prisoners themselves and carried on after the war to bury Allied soldiers. 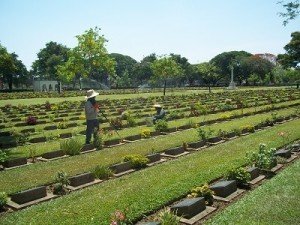 The cemetery is very well maintained, with a dozen or so workers watering and tending the grass and flowers. Between each grave their is a shrub, most of which were flowering when I visited. Each grave is marked with small head stone with a metal plaque giving the name of the fallen soldier, their nationality and an often moving message. The majority of the people who were buried here are British, but there are also large numbers of Dutch, Indian and other nationalities buried here. Next door to the cemetery is the Death Railway Museum and Research Centre. 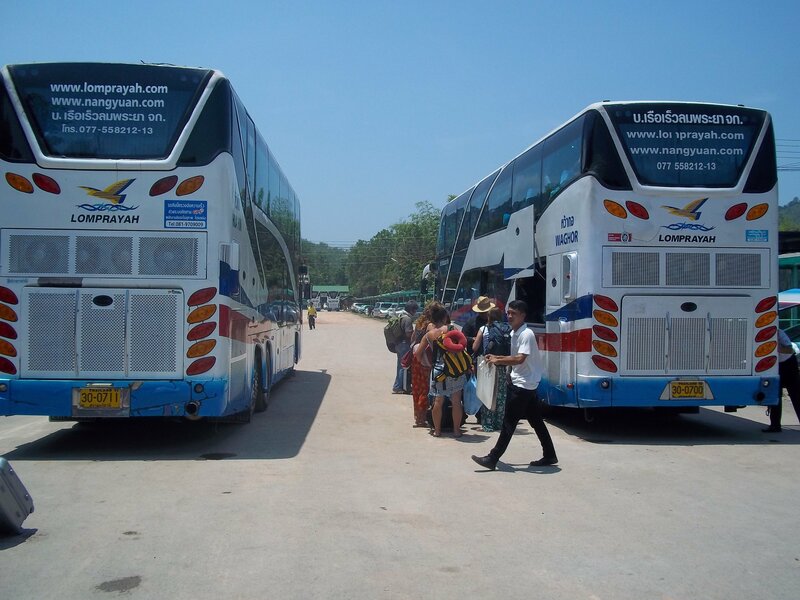 It is open 09.00 to 17.00 every day and admission in 100 THB per person. 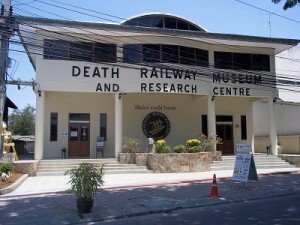 This centre is a charitable endeavour to record and document information about the war and the Allied Soldiers and Asian labourers who died in the construction of the Thai-Burma railway during 1942 and 1943.